It turns out he wasn't smarter than the average bear.. I love this fight, simple but fun, like me. I think the guild agreed as we killed him in less than half a raid. Excellent execution and good team kill Aphorism. 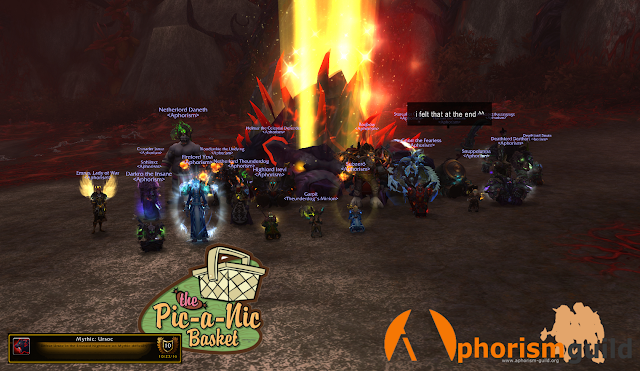 That brings us to 3/7 Mythic Emerald Nightmare now and Dragons are up next!